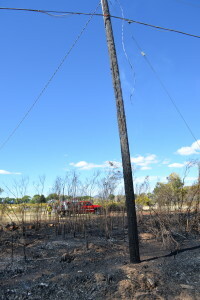 ENOCH — A fire ignited in Enoch Sunday morning, burning two power line poles and threatening nearby homes with 20-foot flames quickly spreading. 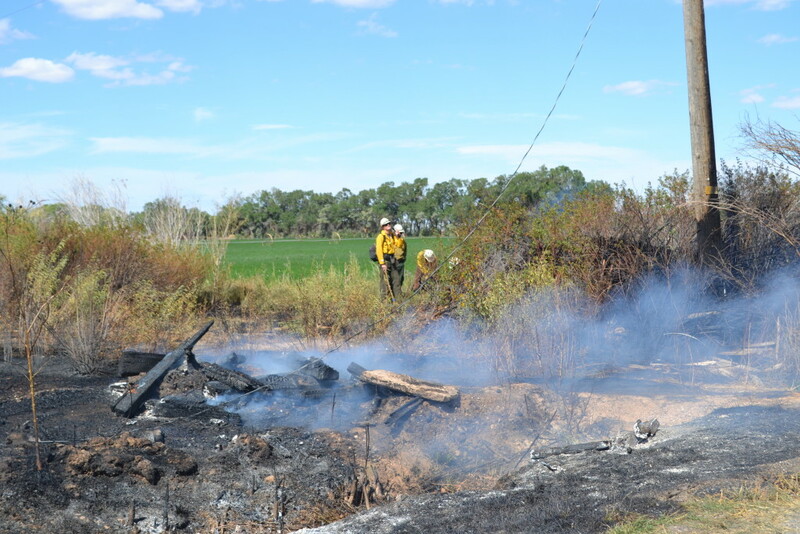 The Cedar City Fire Department responded to the brush fire in the area of 3400 N. Bulldog Road just before noon. 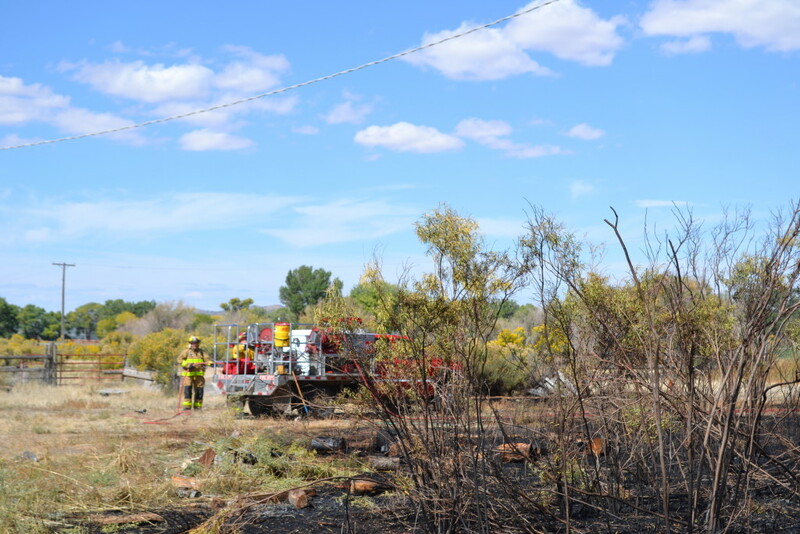 The flames, at their largest, reached about 20 feet in height, Cedar City Fire Department Battalion Chief Paul Douglas said, and burned about one eighth of an acre. 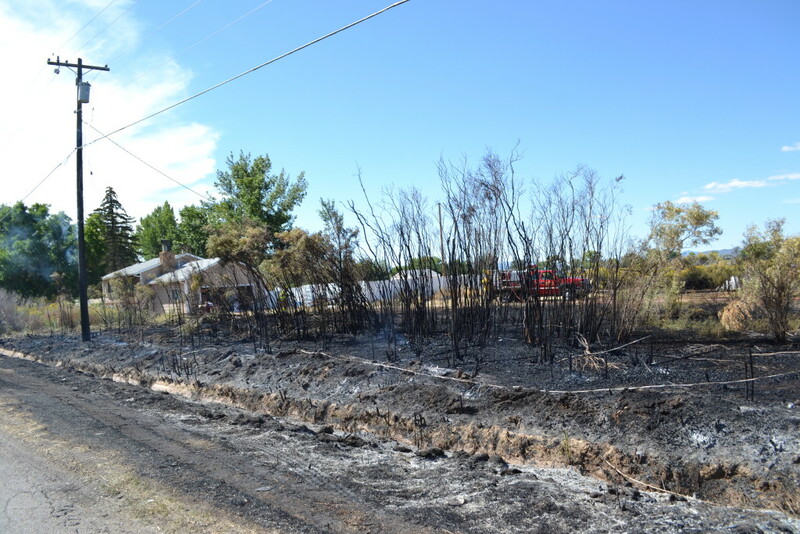 While emergency responders initially thought the flames would reach the nearby homes, the fire was put out before there was any damage to either the homes or their residents. As this report is published, Douglas said the cause of the fire is unknown but that a downed power line may have started the flames. The two poles at each end of the line were badly burned and will likely have to be taken down and replaced. Bulldog Road is closed to through traffic while fire crews tear out the burned brush. “We’re taking all the fuel away,” Douglas said. 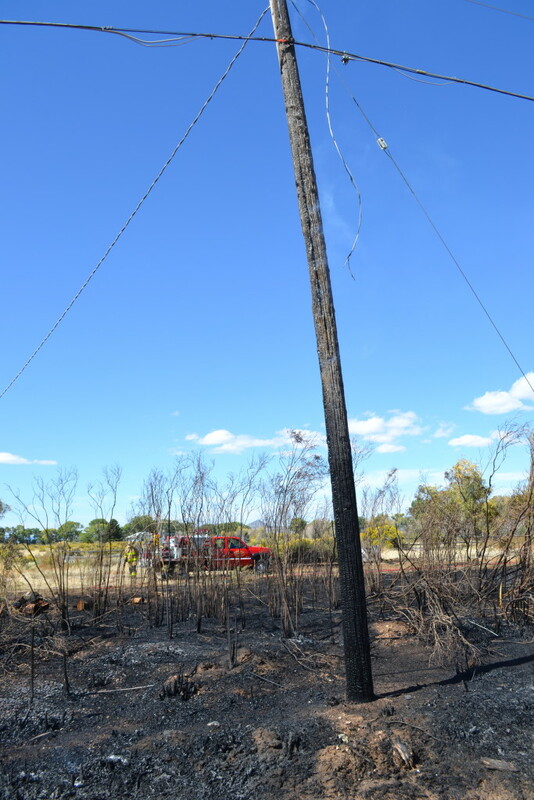 The Cedar City Fire Department, Utah Bureau of Land Management, Dixie National Forest and Cedar City Hotshots responded to the scene.